I am stuck. 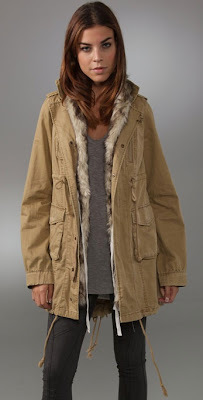 Stuck between which new coat I want for Fall/Winter. I don't really have any Fall-ish coats (watch me talk myself right into this purchase....) so of course this means I need one. Duh, right? I know! Ok, So I've shown you this pretty little number before (here), let's call her A, shall we?! - she is still a front runner. Things I am drawn to, the girlie-ness (word? ), the ruffle, the cinched waist, the spin off of a classic trench style, the color. And now lets meet the competitor. She is completely different, lets call her B. Like black to white (well we know I love that! I kid...reference to the Hubs if you are new!) , rough yet oh so chic. 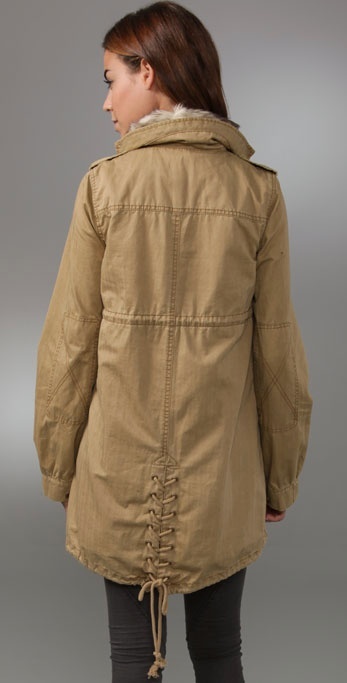 I love the details, the shape and curve down the back, the laces. I love the way I could dress it up - playing up the dichotomy of rough and feminine, or wear it styled super casual. Next week I will be sure to share some images of what I've already stocked up for Fall!!! **Happy Friday's Beautiful's! Have super weekends (have some fun plans so I can't wait! ), and don't forget Mulbery for Target on GILT today at 12:00pm ET***I will be there, hope to make it out alive! PS. I am BANNED from Gilt-I have done WAY to much damage there lately! Oh my goodness I absolutely love that first jacket. I think I need it in my life lol. Love them both but A is pretty special!!! i would definitely choose A! those ruffles are just too gorgeous to pass up, and i'm loving the cinched waist! You have to get both! ha ha sorry but you do. They are both so unique and would be used on different occasions! Man I love your style! If I HAD TO pick, I would pick B. Because I dress down more than up so I'd wear it more. That is a tough one, I would originally go with A because I love girly coats that you can wear with jeans and over a dress, but living in Chicago wouldn't you wear B more? Oh get B now, then get A when they get more in stock later! I see different uses for both of them! Too bad you have to narrow it down. If you really can't swing both, then I vote A. So so lovely! Being a Chicago girl myself, I say get B. You'll use it more and I LOVE wearing frilly things with a strong jacket. Though, I must say, A sure is lovely. 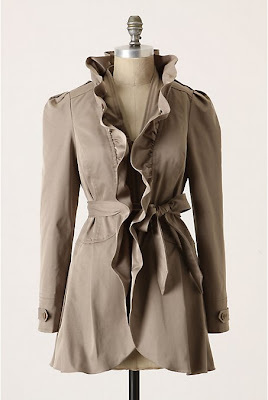 I love both, but the first one is just too cute with the ruffle detail. let us know which one you choose! I would go with B, just because you live in Chicago and I remember you cold it gets in the Midwest.